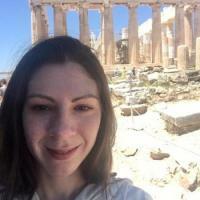 Laura is a fifth-year Ph.D. student in Classics, writing a dissertation entitled "Schools of Greek Mathematical Practice." Research interests include ancient mathematics, technology, and quantitative science, Indo-European poetics and meter, historical linguistics, Greek lyric and epic poetry, Latin prose fiction, and Greek and Latin paleography and textual transmission. Before coming to Duke, Laura was an instructor of physics at Austin Peay State University in Clarksville, TN. B.A. in Liberal Arts from St. John's College, Santa Fe, NM; B.S. in Physics from Austin Peay State University, Clarksville, TN; M.S. in Physics from University of Illinois at Chicago.